Do you ever find yourself yearning for a quiet place to retreat, reflect, meditate, and just be? If you’re like most of us, you’re likely sitting at a desk, checking and re-checking constant emails, tweets and texts, while trying to squeeze in a quick bathroom break before you crunch in one more client conversation. While you did take a break to “be creative,” the pyramid of empty coffee mugs on your desk just doesn’t cut it as a renewing activity anymore. Lutheran Hands volunteers out helping weed and maintain the natural beauty at Penuel Ridge. We have good news to share. On 135 acres of lovely rolling land in Ashland City – complete with a lake, meadows, woods, trails, and wildlife – is a special place called Penuel Ridge. This nonprofit retreat center has created a peaceful setting that offers the opportunity for people of all faiths, backgrounds, and income levels to have the space to focus on renewal and restoration. This spiritual retreat center focuses on fostering values of contemplation, silence, hospitality, rest, social justice and communion with nature; nurturing the journey inward to strengthen the journey outward. Rooted in the Christian and Jewish faiths, Penuel Ridge welcomes persons of all traditions. Cross Point Church Volunteers out helping mulch area around Penuel Ridge. Great team building. Thanks for lending your time and talents! 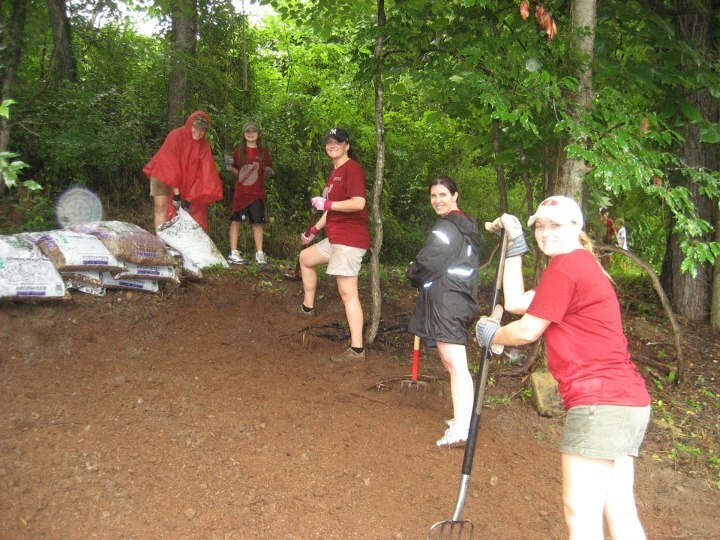 Penuel Ridge is able to offer restorative retreats to people like you, your brother, or even your friend over there in the gray cubical, all because of the volunteers who make it possible. 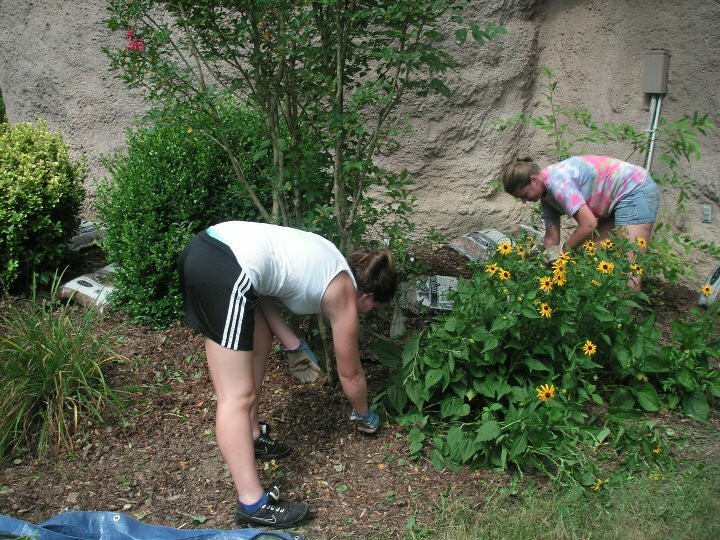 Because Penuel Ridge has only one staff person, volunteers play a big role in helping to maintain the property, gardening, cooking, facilitating retreats for individuals experiencing homelessness, and more. 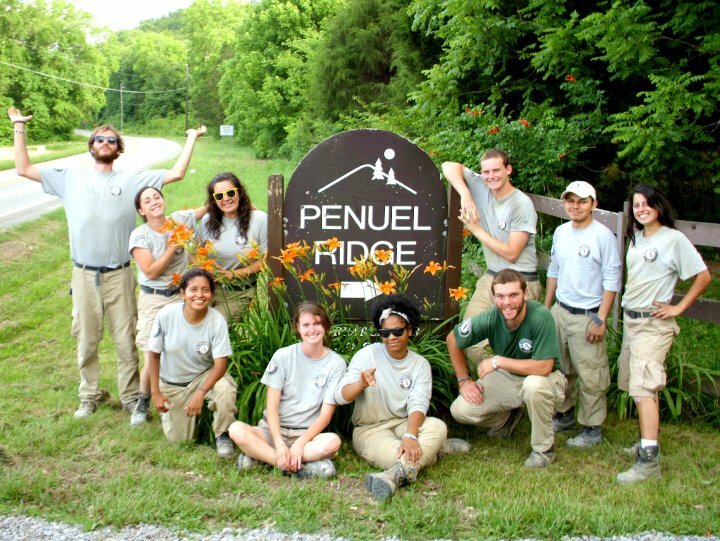 Penuel Ridge is seeking an organized volunteer willing to lend his/her time to manage volunteers and an enjoyment for the beauty of Penuel Ridge. > Click here to read more and sign up. Use your great organizing skills to help with the Penuel Ridge Library. Volunteers are needed to complete a bi-monthly of status of shelves and condition of books while also adding books to the inventory as they come in. Help maintain the land by bush-hogging every two-three weeks April through October. Volunteers will use Penuel Ridge’s equipment and should be able to knowledgeably drive a tractor.